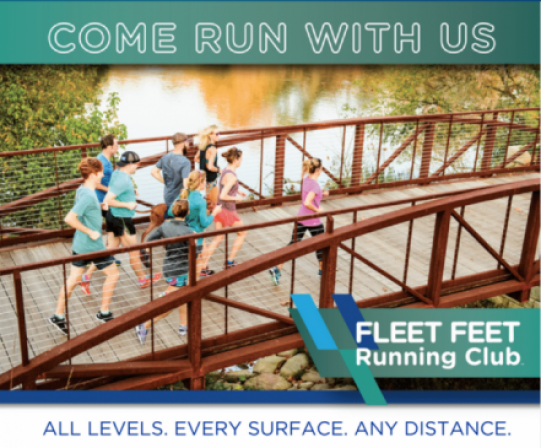 Summer Training Club kick off will take place at 8:30 AM, Fleet Feet Sports, Augusta. We will train 8 weeks and the goal is to beat the Summer heat and be ready for an amazing Fall training season. The training program will consist of 30, 45, and 60-minute workout options (Thursday and Saturdays) followed by a 20-minute core/strength workout (Saturday only). Please bring a yoga mat or towel to each Saturday workout. Thursdays at Your Pie in North Augusta - 6:00 PM. Saturdays at The Savannah Rapids Pavilion - 8:00 AM.